Myasthenia Gravis is likely something you have heard in humans, but are perhaps unfamiliar with in animals. Much like the majority of human diseases and conditions, it is seen across species – although it may present itself a bit differently. Because you may not be as familiar with this disorder in animals, we will delve a bit deeper into the science behind it and explain in detail the disease known as myasthenia gravis. What exactly is Myasthenia Gravis? Myasthenia Gravis is a disease of the immune system where there is miscommunication between the brain and body. Signals sent out by the brain to the body are broken down or lost along the way. This breakdown of communication results in a lack of correspondence. Think of it like an average human throwing a baseball to home plate compared to Justin Verlander. When your average Joe goes up to the mound, he can throw a ball hundreds of times and it will likely never hit the catcher’s mitt, nor will it be as fast or accurate. Even though he is focused on making it to the end, it just won’t happen. Now when Justin gets on that mound, his throws will be efficient, accurate, and expedited. He will likely never miss the catcher’s glove (if we’re lucky). Justin is the same as a healthy brain communicating to the body. The average Joe is similar to a depleted system throwing consistent misfires. As the brain’s signals to the muscles get lost, stimulation to the muscular system is decreased. When muscles are unable to contract from lack of stimuli, they will weaken. 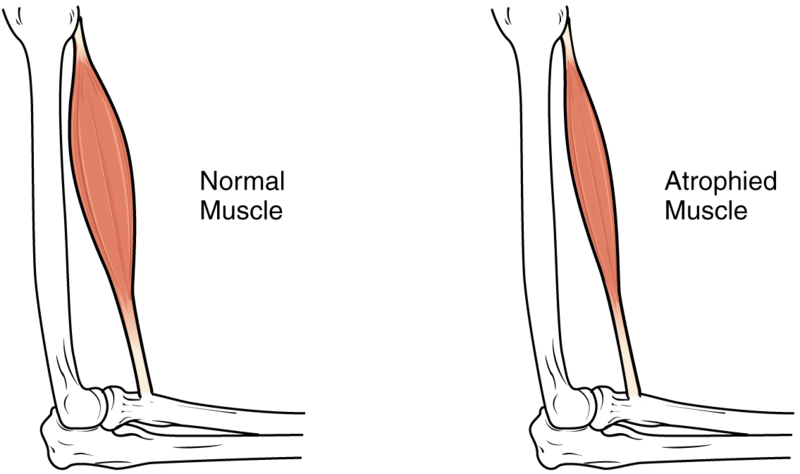 A weakening of muscles is one of the most common symptoms seen in MG.
What is the mechanism behind MG? There are two types of MG, acquired versus congenital. The congenital form is rare and mostly limited to a few breeds, including the jack russell and springer spaniel. The acquired type, or immune-mediated, is more common. The mechanism behind immune-mediated myasthenia gravis is simple. The immune system recognizes muscle receptors as foreign invaders, or “bad guys”, and begins to attack them with antibodies. These antibodies interfere with the muscles ability to do their jobs properly and lead to weakening. Myasthenia gravis is often manageable. The beginning couple of months might be the most difficult as you will need to monitor your pets’ eating and drinking habits carefully. Most conventional treatments include drugs that will inhibit the antibodies attacking the muscle receptors, that way messages being sent to these muscles will not be misdirected along the way. As of right now there is no cure for MG, just a healthy way of managing the disease. There is promising research in humans showing several natural anti-cholinesterase products coming from both plant and marine origin. These could be used to help naturally inhibit the antibodies from attacking muscle receptors. Beyond this the research is limited. I personally would question the reason behind an overactive immune system. If a structural shift is present, the nervous system will either under or over exaggerate responses to simple stimuli. Sometimes a small stroke down the back will illicit flinching at multiple levels, all of which indicates an overactive nervous system. A nervous system on hyperdrive can in turn stimulate the immune system. When these shifts return to normal through chiropractic adjustments, the entire system is able to relax, allowing the same for the immune system. Immune system regulation through the nervous system is very important and should be considered when looking at any auto-immune disorder. In addition to chiropractic care, acupuncture, massage, exercise, and proper nutrition are all wonderful ways to help improve body function. Though Myasthenia Gravis appears terrifying, there are ways to help manage it both conventionally and alternatively. Being aware of your pet, and knowing when something is wrong is the first step to helping them get better. For questions or comments feel free to contact us at (248) 602-0807, or email us at advancedanimalchiropractic@gmail.com.